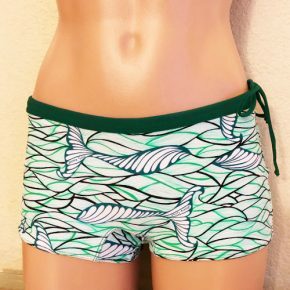 Pipeline Reversible Hipster Shorts. Reverses to Solid Brown. 1.5 inch inseam, low rise, flattering waistband with drawstring.